This new addition to the Flyfisher's Guide series is the most comprehensive guidebook ever published for the state of New Mexico. From high mountain lakes and streams to wild river canyons, from large reservoirs to sprawling private ranches, New Mexico has an abundance of quality flyfishing opportunities without the crowds. 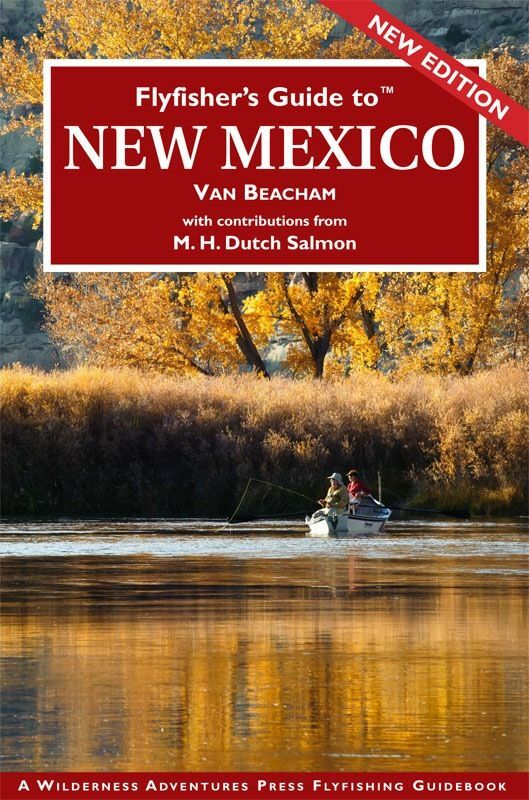 Van Beacham, is a fourth generation New Mexican who has guided flyfishers in New Mexico all his adult life. Van covers in detail all of the great waters, including the famed San Juan River, Rio Chama, Rio Vallecitos, the Rio de Los Pinos, Jemez, Pecos, Santa Fe area streams, Gila, Rio Grande Gorge and more. He also covers the great trophy trout fishing on the Indian reservations and pay-to-fish private ranches. Van details how to fish each water, with hatch charts, recommended flies, and stream facts. There are over 60 detailed fishing maps showing river miles, access points, boat launches, campgrounds, public land, and roads. Van also covers all the travel information you need to plan your trip, including fly shops, sporting good stores, motels, guides, lodges, restaurants, car rentals, boat rentals, and more. 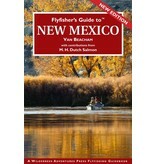 This is a must have book for anyone planning to flyfish New Mexico.